Have you ever had that one person that at first you didn’t really like, and then you started to admire and even look up to? For me that person, celebrity wise, is Nikki Reed. 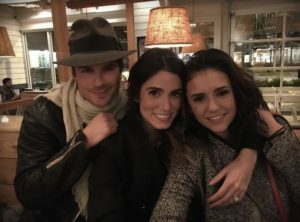 I didn’t like her as Rosalie Hale in the Twilight Saga (but I didn’t really like anyone in the cast, I was such a fangirl), and then my teenage-self got a little caught up in the drama created around the trio Nina Dobrev- Ian Somerhalder-Nikki Reed. I now know it was a bit inflated by the magazines, and maybe the trio didn’t get along that much at the start, and okay, I was a die-hard Delena shipper. But time passes, we grow up, we get caught up in other tv shows and other books (both not about vampires anymore), we change our outlook on many things,and we re-discover old things too. I estranged myself from the fandom and stopped watching TVD (but I kept updated and watched the tear-jerking finale), and when I returned to the community, less invested and more mature than before, I was appalled at the hatred all those young girls poured on that woman. Okay, so I wanted real life Delena too, but to hate someone you don’t even know so passionately simply because she fell in love with someone seems a bit too much (there are hate accounts on Instagram!). So, curious as to what people could find so horrendous about her, I started stalking her. Well, I just followed on Instagram and read her Wikipedia page, but still. She is a ferocious animal lover, she actively advocates and works with shelters and organizations that defend animals (from dogs to horses and goats), she shares her husband’s passion and concern about climate change and collaborates with Years of Living Dangerously: both of them filmed an episode and some videos about climate change and carbon pricing, and they work first line with the Ian Somerhalder Foundation. She is vegan and an energetic person: she loves running, hiking, doing Acro-Yoga with her brother Nathan (check him out @nathanaugustreed ) so much she went back to it after one month of giving birth to her daughter, biking and anything that involves moving, including walking her dogs! 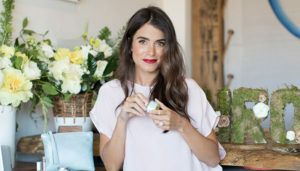 She has a passion for writing and she does it well (she wrote a column for Elle called Take Five), directing (she just directed a short film for google starring Gina Rodriguez), you can find many diys on her Instagram (@iamnikkireed ), you can read about her love for nature in many interviews, and you can experience it in her latest entrepreneurial adventure with her fashion and lifestyle brand: BaYou with Love, where every piece of clothing is made with recycled and organic and sustainable materials, and the beauty products are as natural as they can be, but a bit of a splurge. Nikki has lot’s of tattoos and piercings (she just got a septum) that make her earthy and country style a bit edgier, and she has a passion for hats, and music of course. She recorded an album with her ex-husband and former American Idol Paul McDonald, one solo, and another one is on its way. What I like most about her is that she seems so genuine and nice, and after listening to the Informed Pregnancy podcast (I recommend listening to it), you can’t deny that Nikki and Ian are the perfect couple, and I’m talking Blake-Ryan levels of #relationshipgoals. They are so in love, so affectionate, they have such profound respect and admiration for each other, and so many similarities it borders on creepiness. In that podcast you get so many juicy and romantic details on their love story. I’m gonna spoil a bit with something Ian said to Nikki during their first (non official) date: ‘it’s always been you.’ Boom, cuteness overload. If you want to know a bit more about her and her lifestyle philosophy, check out her Instagram account! It’ll keep you updated with her/their events, their foundation, her fashion brand, and you’ll get snippets of who she is and what she believes in: nature, humanity, simplicity and earth. No more hate guys!